Let's growyour real estate business! We're glad you're part of #TeamERA! This is your guide to getting started towards a more successful future! Onboarding is the process of affiliating with the company, becoming oriented with support resources, and getting access to company resources. Your main points of contact are your Broker and your Office Coordinator. They are best positioned to help you and can point you to the right contact for questions they may not know the answer to. Going on a listing appointment or meeting with potential buyers? Here is some marketing collateral provided to help you win! If you need help printing your office coordinator is here to support you. For a complete library of all marketing, contracts and forms, etc. make sure to accept your dropbox access. Text here about why you should get to know your broker and how awesome they are. We want you to feel comfortable around the office. Attend an orientation meeting with your Office Coordinator or Broker. Whether you are new to the business or just new to ERA, order your starter kit from the store! Our goal is to get you paid quickly. Fill out your ACH form and introduce yourself to the accounting dept. 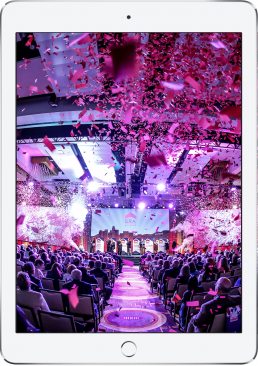 Update your Social Media and set up your profile in Arti®, Zap®, Zillow®, Realtor®, Trulia®, etc. We want you to understand the transaction process. Meet with your Office Coordinator and Broker. Order your free Starter Kit today from the ERA Store! Your starter kit includes: signs, frames, business cards, and name badge. If you've completed all of the following objectives you will receive a free ERA shirt to your order. Talk with your office coordinator for more info. You will receive an email with usernames and passwords for the following systems. If you haven't received it within 48 hours after signing paperwork, please email support@erabrokers.com. ARTI® is ERA Brokers proprietary Transaction Management platform. Some of the features include document management and storage, custom property websites, syndication controls, text messaging platform, marketing brochures, demographics, real time activity feed, transaction guide, transaction window, Smart Sign controls, transaction compliance. Zap is an integrated solution connecting consumers, agents and brokers; providing insights to help you win in the digital marketplace. With predictive analytics that tell you when a lead is ready to transact, to hyperlocal marketing that gets you noticed, Zap drives results.  ZAP Captivates consumers, ZAP Predicts who is ready to transact, ZAP Informs agents, and ZAP Connects your business. Agents who use ZAP are statistically more productive than agents who aren’t using a CRM. Dropbox is the industry leading cloud storage platform in the world. We use it to share documents, logos, letterhead, marketing materials, and other company resources. Sign up for a free account to get access to company documents, speak with your broker. There are lots of e‐signature platforms out there. While all of them are functional, we utilize the industry leading document signature platform in the world. Visit with our technology staff to get set up. The ERA Brokers website (you’re currently on it) is an industry leading platform offering market research, listing search, agent profiles, rental search, company information, and the ERA Brokers store where you can order business cards, signs, photography, career apparel, course registration, and more. This site is your starting point for accessing all of ERA Brokers technology resources. It will be your responsibility to learn how to use the systems through regular training and leverage them to boost your business. In addition to self‐paced tutorials, live training events you can be found on our company calendar. Ready to Print? Click on the link below to take you to the printer drivers. These are also in Dropbox. Make sure to DOWNLOAD THE COMPLETE folder for the printer that you need. Once you have the entire folder downloaded, run “SETUP 64” for Windows computers and follow the prompts. If you’re on mac, you’re in luck, these will simply Airprint! Having issues getting access?For a fast response contact support@erabrokers.com. Growing your business is straightforward. It requires consistent effort, focus, and hard work. While we encourage professional development and learning from experts in the industry we have some basic principles to help you along the way. Build your business plan and access training here! Welcome to the Forum, powered by ERA Brokers. This is your online community of people networked throughout the company. You can post new inventory, questions, new apps, and more. This is a closed group, which means that it's only visible by ERA Brokers agents & staff. This information is covered by copyright laws. All rights are reserved to ERA Brokers Consolidated. If you feel that there is something within this webpage that needs to be added or corrected, please see your Branch Broker. 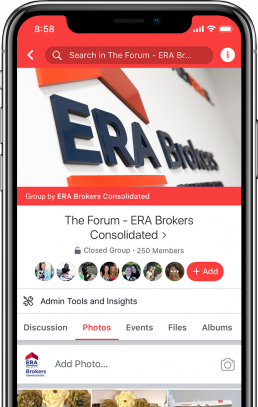 ERA Brokers Consolidated is a brokerage infused with proprietary real estate technology. The holding company operates both commercial and residential brokerages in Utah and Nevada. 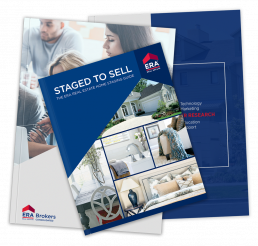 With over 300 agents and staff, ERA Brokers and affiliates close over 3,000 transactions worth nearly $1 billion in value annually, and manages more than $250 million in assets for its clients. If you are looking to be part of an organization that is leading the industry forward in marketing, technology, education, and agent support. You are in the right place.